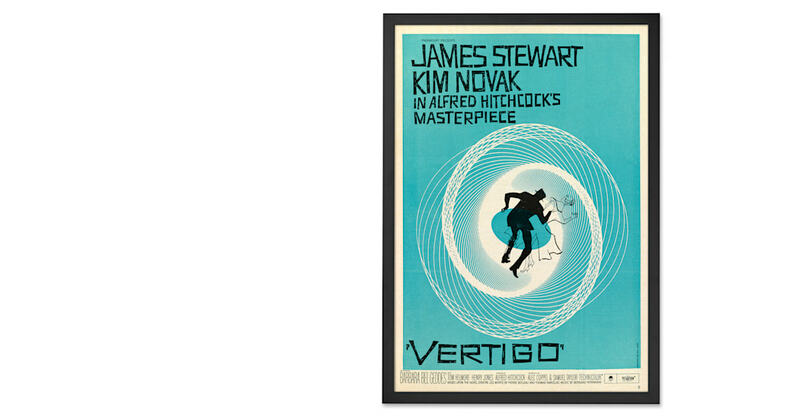 Adorn your wall with a print of the iconic artwork for the 1958 Alfred Hitchcock film, Vertigo. If this movie is one of your favourites, then you need this print, now. It’s the work of acclaimed artist Saul Bass, a pioneer of film-title sequences and film poster design. Perfect for film buffs, it adds a retro touch.